South Korean manufacturer Samsung is ready to begin mass production of smartphones with bendable screens, which will make the devices thinner, lighter and unbreakable. This was revealed in a report by Wall Street Journal, which said that the company is currently in the last stages of developing these display panels, which make use of plastic, instead of glass. Samsung will continue to use its OLED display technology in these flexible display panels, but the use of plastic instead of glass will make the panels lighter, but more resilient. The report also said that these panels will be showcased in the first half of 2013. Lee Chang-Hoon, the vice president of Samsung's display division, said that the South Korean manufacturer is presently testing the new displays with a small group of consumers. 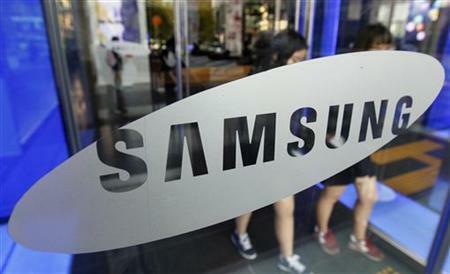 However, it is yet to be revealed when Samsung will launch the first devices with this bendable, flexible display. The company also refused to state how much it spent in developing this display technology. Such bendable display panels are not new, but their mass production is a major breakthrough. LG and Sony have previously showcased their own flexible display panels, but were unable to bring them into mainstream production for bulk sales. Apple's recently launched iPhone 5 has in-cell screen touch sensors embedded in the LCD panel itself. 0 on: "Bendable phone displays from Samsung soon: WSJ"
© Copyright 2016 Technology News. Designed by Bloggertheme9. Powered by Blogger.